Arrived in Seoul a few days before my family last summer, so I decided to take the opportunity to check out the Latin scene back in the motherland (Yes, Koreans dance salsa, haha)!. Based on recommendations I’d seen online, I decided to check out Club Turn (the reputation being that they had some of the most hard-core dancers). My general impression was that there were plenty of technically sound dancers, a nice dance floor with a lot of space to move, and drink prices were pretty reasonable, but for some reason I didn’t feel like I got my fix at the end of the night. I guess my gripes were mainly with the DJ. My 2 biggest problems were: 1) he spun Latin-Jazz/romantica salsa aaaaall freakin’ night (a few salsa dura’s once in a blue moon would’ve been nice), and 2) the only bachata he played the whole night was Juan Luis Guerra (nothing against Mr. Guerra, but like my salsa, I prefer to have some variety). Luckily I had a chance to dance with a local salsa instructor, who recommended another club that had a better mixed-Latin night on Tuesdays. 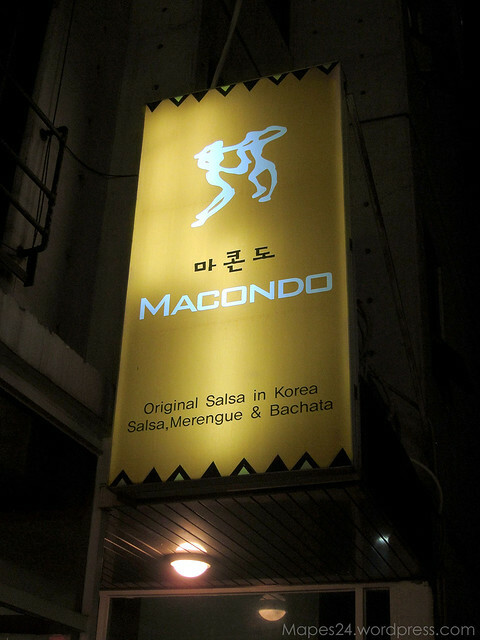 So the following week, I hit up Macondo (Donggyo-Dong 169-21, Hongdae near Hongik University subway station). Much smaller club (probably about 1/3 the size of Club Turn), but much more intimate feeling, and it looked as though people were enjoying themselves more than at Turn. I think that’s also somewhat of a complaint I have with the salsa scene in general. There were probably ‘better’ dancers at Turn, but much like in the NY scene, a lot of people place so much focus on being technically proficient and looking good out on the floor, that they frequently forget how to just have some fun while social dancing. Another good thing about Macondo was the Dj’s rotation. Approximately 3-4 salsa, then 2 bachata, and 1-2 merengue. Definitely more my cup of tea. All in all, I was really impressed by the Latin scene present in Korea, and though they may not have the same sabor that I see in NY dancers, they definitely have just as much passion! For more info on the Latin dance scene in South Korea check out the Kiss (Korean Internation Salsa Social) website for the most updated info. 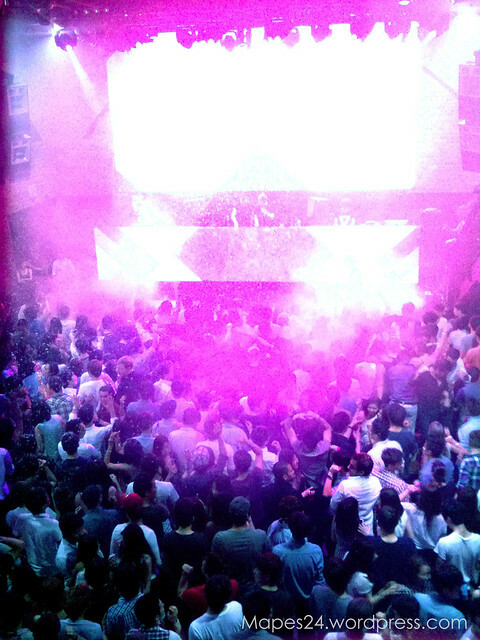 On another note, if techno/house music is more your thing, try checking out Club Ellui in Gangnam (I believe this is exactly the type of crowd that Psy is singing about in Gangnam Style). Considered one of the trendiest/hottest clubs in Seoul, it’s no surprise that they’re able to regularly pull in pretty famous international DJ’s. Though it’s a bit more pricey to get in (not a surprise considering I saw ppl valeting their Bentley’s and Ferrari’s (no joke), it’s definitely a fun spot to spend the night.